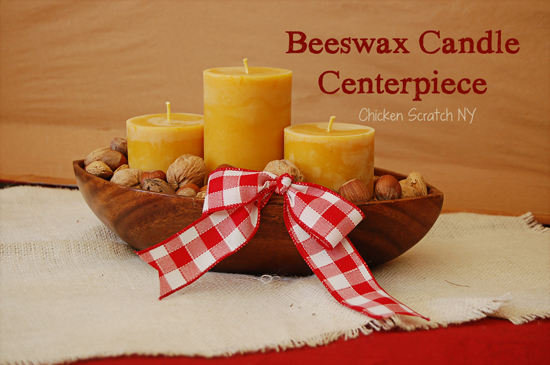 Have you ever smelled a real beeswax candle? They have a faint, sweetly floral scent. I’m lucky enough to have an ‘in’ with a supplier and I get to bring home some of the 2nd quality candles. When I left for my maternity leave I brought a box of slightly-less-than-perfect candles home with me. My initial plans involved a pineapple but I couldn’t find a large enough bowl and I eventually lost track of the project. Today when I was throwing out my 1970’s food processor (my mom bought me a new one that won’t leak all over the counter!) I found this wooden salad bowl and decided it was time to get to work. Place the candles in the bowl, I used three 3 inch diameter pillars. Make sure the candles are stable, wobble candles + fire = bad. Add the nuts around the candles, this mix has walnuts, Brazil nuts, hazelnuts, almonds and pecans. Fill the bowl up so it’s slightly over flowing, not enough to let the nuts fall all over the place if someone bumps the table but enough that they stick up out of the bowl. Make a bow and drape it over the nuts, make sure it’s away from the flame. Beeswax candles are beautiful, the ones I make range in color from a rich mustard to a lighter buttery yellow. We get our wax from a variety of different types of honey and the pollen sources can ‘stain’ the wax different shades. They have a smooth matte finish and over time develop a white bloom. You can easily remove the bloom by buffing or with a hairdryer if you want your candles to look cleaner but I think it adds to the beauty. We use 100% cotton wicks and all of the candles are long burning. All of the candles are hand poured (these ones were poured by me!). These candles look beautiful and I bet they smell wonderful too! 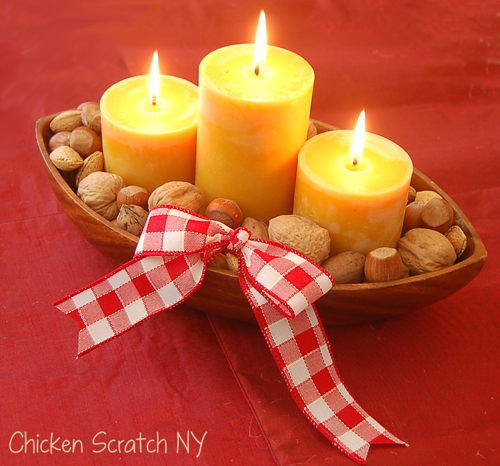 I love the smell of beeswax and love that you found this great wooden bowl to place them in. I am thinking about the pineapple though! Great point! I should set it out with some nutcrackers and it can be decoration and entertainment all in one! Great centerpiece. 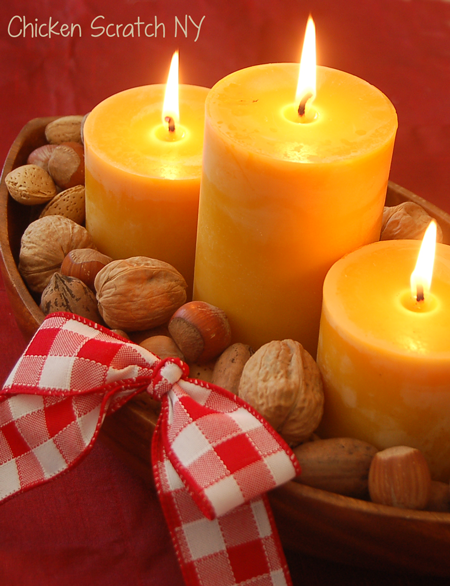 I love candles, especially beeswax! very pretty and yet simple to make! 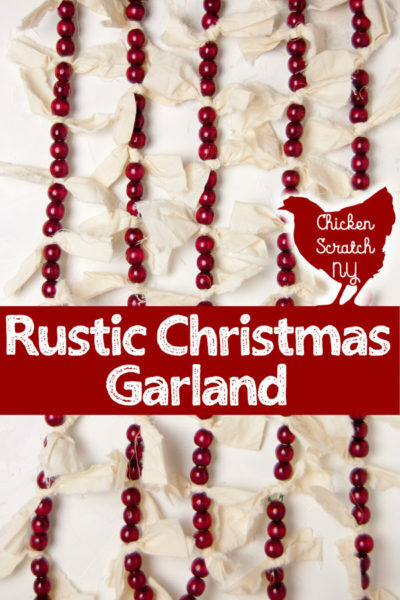 I love that this has that rustic, country edge! I would totally make something cute like this! This looks so warm and has a cozy feel. Love it! This is such a gorgeous centerpiece. 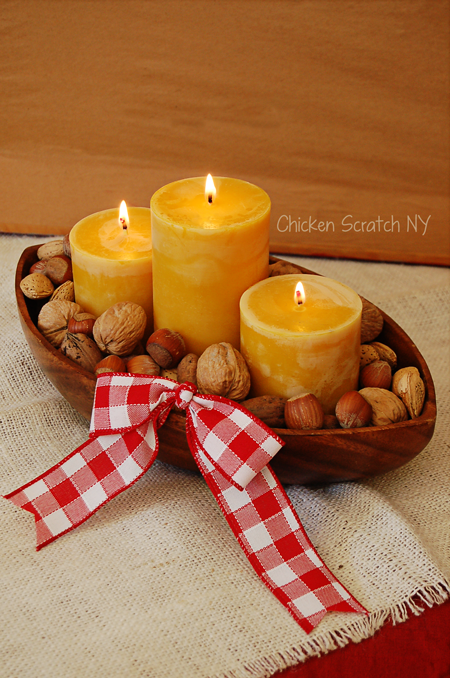 Great idea to mix candles with nuts! What a beautiful arrangement! Perfect for a cozy evening evening at home. This is a creative centerpiece. I like it because it is longlasting and cute. I can’t get over how much I like this look. It’s so simple but it’s still so visually stunning. I love that! It’s so cool looking! That is really pretty. Love the red and white bow. Awesome centerpiece I need to start making things like this and stop buying them. Totally easy! 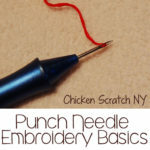 This is gorgeous and so simple to do! That is really a beautiful look. 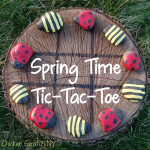 Very cute idea, I never thought to make a centerpiece like this. Ohh, I didn’t know how beeswax got its color! I always thought the unbleached version was just yellow (the same hue with no variations) and the bleached version was white! Thanks for the lesson!